New book on Jewish baseball cards! Did your parents throw out the box of baseball cards you left in the attic or basement — including the ones of your favorite Jewish ballplayers? Have no fear. 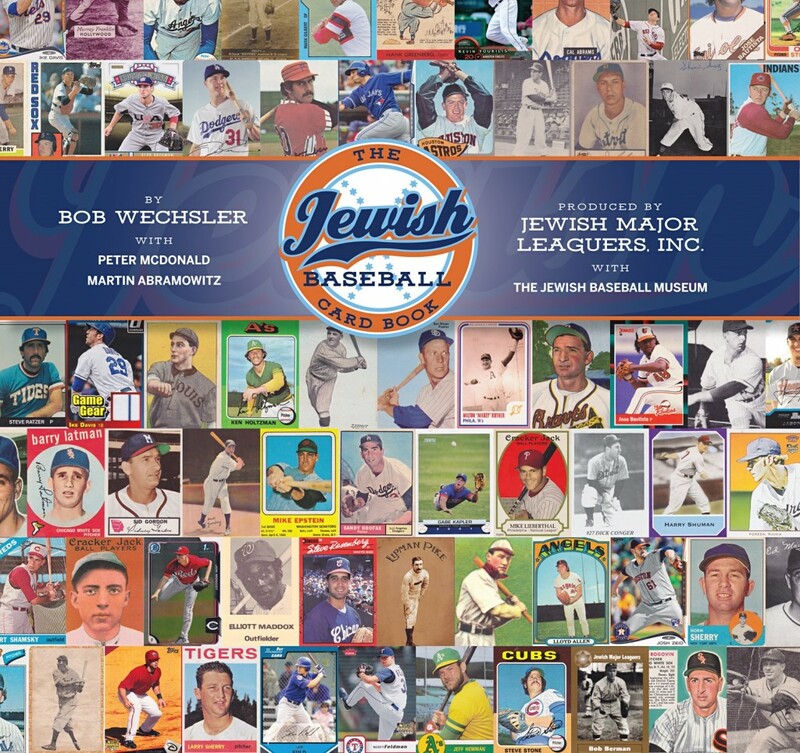 With help from two nonprofit groups, author Bob Wechsler has just published the The Jewish Baseball Card Book, a hardcover history of original cards issued for each of the 169 Jews who played major-league ball from 1871 to 2016. “What began as a tribute to the history of Jews in baseball through their cards evolved into a history of baseball cards itself,” said Martin Abramowitz, whose not-for-profit Jewish Majors Leaguers helped produce The Jewish Baseball Card Book, with assistance from Jewish Baseball Museum. The coffee-table book also includes images of Jewish umpires, team owners, general managers and broadcasters. Wechsler, a retired sports editor, calls the tome “a collector’s Bible.” Old Testament, of course. Copies can be purchased for $49.95 apiece by clicking here. Get your Jewish Baseball News updates via e-mail!